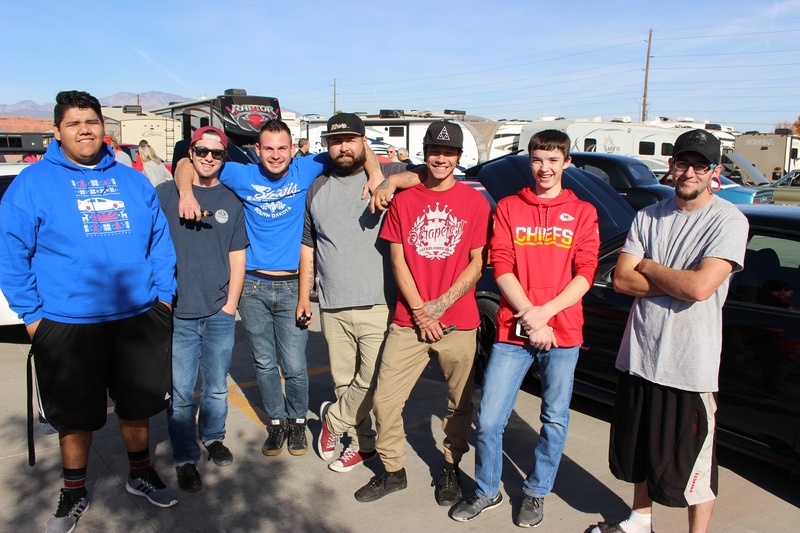 ST. GEORGE — The annual Car Guys Care Toys for Tots event was a smashing success this year after after organizers teamed up with Nielson RV to provide free pizza and showcase 130 classic beauties. The event brought in thousands of dollars in donations and hundreds of donated toys for children to open Christmas morning. A group of classic car-loving heroes known as Car Guys Care hosted the car show to benefit the local Toys for Tots program for the sixth consecutive year Saturday. Bringing the community together for a street party surrounded by vintage cars to help needy kids is a community support model that has proved successful for the last six years, and Saturday was no different. 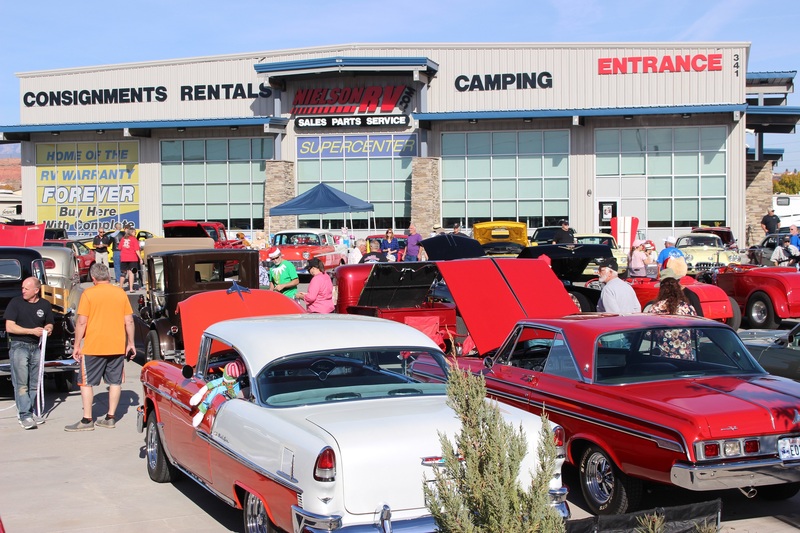 This year, the large Nielson RV venue provided added room to allow anyone with a car, truck or motorcycle to bring their vehicle and show it off at the event. “It’s the holidays – we want to give back to the community, and we have been so blessed that we want to pass it on and wanted to get everyone together, move things around, open the lot and buy food to make this happen,” Nielson RV Sales Manager Matt Spendlove said. Hundreds of new, unwrapped toys awaited pickup after donations continued to roll in, overflowing tables and boxes, which were guarded by Santa when he wasn’t making the rounds and mingling with guests. Owen Bourchard of Car Guys Care added that curling irons and toiletries for girls are still needed, as well as body wash and head phones for boys, along with other items for teens. During the festivities, a 50-50 raffle drawing was held where tickets were exchanged for half of the $340 collected in ticket sales; the winner and Toys for Tots received $170 each. The group raised about $2,000 in cash all together, with the car show, raffle and donations, Dastrup said, adding that the number of toys donated at the show will be available in a day or two. 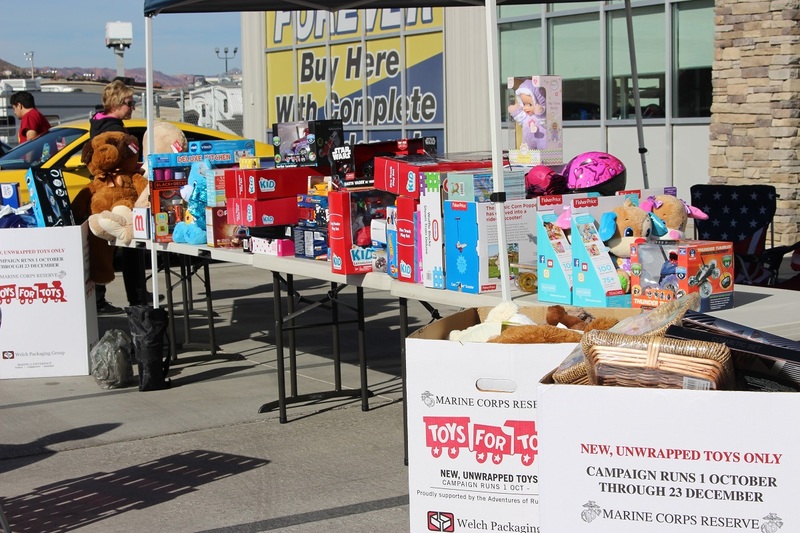 Every dollar donated translates into about $4 worth of toys because of the buying power the U.S. Marine Corps has with Walmart and Toys R Us, Rick Massey, Southern Utah Toys for Tots coordinator, said in a 2016 interview. 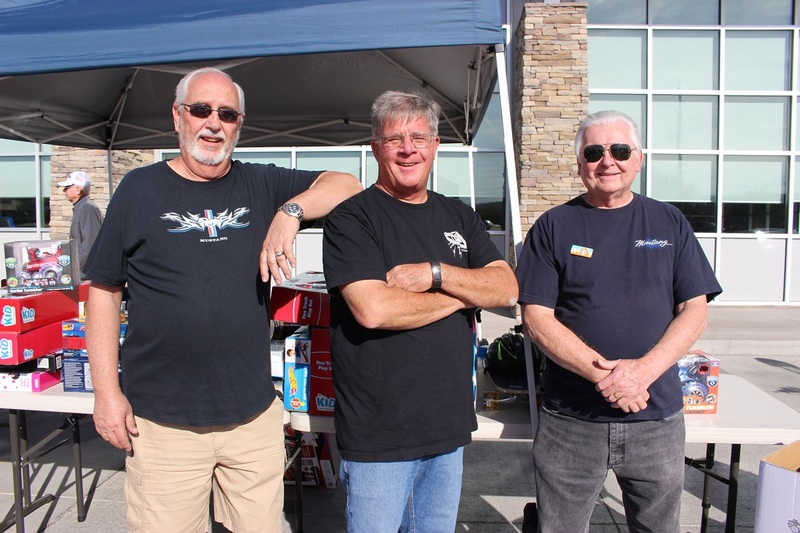 Two car groups, Imports of Southern Utah and Cedar City Imports, were new to the car show this year to show their support for the Toys for Tots program and become involved with other car groups in the area. Between the groups, 13 import cars were entered, Tyler Shoaf of Imports of Southern Utah said. The two groups have been working together, which enables them to reach a wider audience of import car enthusiasts, helping them to connect with like-minded people and become involved in the community and support programs or events that help people, Shoaf said. Cedar City Imports was started in 2013 and has just over 100 members, while Imports of Southern Utah, started just over a year ago, has approximately 170 members. Salazar added that a charity that addresses the needs of children is something he holds close to his heart, so attending the event served two purposes: becoming involved with other car groups and helping children, he said. Items the program is still running short on this year, even after items collected during the car show, include grooming products and age-specific items for teenagers, such as curling irons, cosmetics and body wash for teenage girls. For boys, Axe body wash and cologne (or similar items) and headphones are needed. Toys can still be dropped off in labeled drop bins at various businesses throughout Washington County. For more information, go to the Toys for Tots website.